Navy and Charcoal: 7-oz. 88% cotton/12% nylon flame-resistant UltraSoft® twill by Westex. This rugged, insulated jacket gives you options. 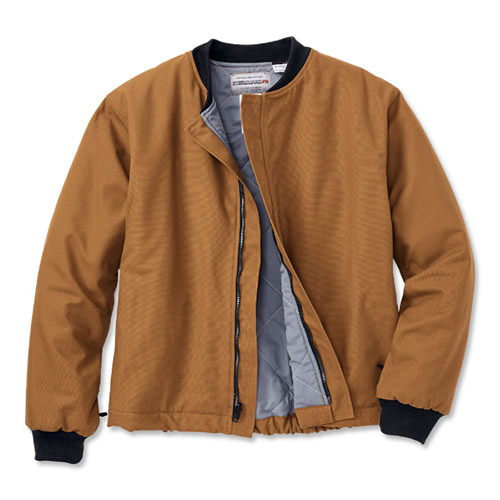 Wear it alone or zip it into our midweight FR jacket (style 5375) for added warmth.